Based on a growing number of data points, Android’s (s goog) sales dominance may be nearing its apex while iOS (s aapl) is on the rise. Even as a daily user of both an Android smartphone and tablet, I can’t deny the facts that Android’s partners are not doing as well as they used to. The conclusion that Android’s best days are behind is surely arguable, but I am starting to think that Android is on the decline for several reasons. The early Android handset makers are free-falling. In April of last year I noted that Android was a boost to hardware makers that embraced the platform early. Specifically, I saw that an Android strategy helped Motorola (s mmi) trim losses while HTC was growing faster than a field of bamboo. Fast-forward to today and Google is attempting to snap up Motorola Mobility even as Moto has faltered. And HTC? Monday confirmed what we reported late last year: The rising star has fallen and isn’t meeting expectations. Apple is grabbing a huge share of mobile revenues and profits. We often talk about smartphone sales market share, which is important to a point, but money keeps a business afloat. And Apple is sucking most of it out of the mobile market. According to the excellent Asymco blog, Apple has been the top handset maker in terms of operating profits for the past 13 quarters running. It has 75 percent of the market’s profit share and 39 percent of its revenue. With the exception of Samsung, Android competitors are beginning to fade away; you can’t grow a business when your product sales are in decline and you are earning less money on such products. The top three smartphones are all iPhones. This data point comes from NPD on Monday: Of the top five smartphones sold in the U.S. in the last quarter of 2011, the top three are all iPhones. Samsung’s Galaxy S II and Galaxy S 4G took the fourth and fifth spots. Why is this a problem for Android handset makers? Because consumers are more willing to buy the reduced-priced iPhone 4 or 3GS — handsets that are more than a year or two old — than some of the newer Android handsets. There are plenty of low-cost Android models that compete well on price, but consumers don’t think they compete well on the experience. If they did, they would bypass Apple’s older phones. First-time buyers are picking Android, but . . . NPD did note that first-time smartphone buyers favor Android over iOS (54 percent versus 34 percent), and I suspect that is mainly due to price. But these folks will be second-time smartphone buyers in the future and may be willing to spend more for an iPhone unless Android handset makers can give them a reason to stick with the platform. And now that the U.S. has over 50 percent smartphone penetration, the pool of first-time buyers will be shrinking, not growing. Even now, there are still few apps hitting Android before iOS. One of the reasons I pay attention to smartphone sales by platform is because of developers. Not every software shop can support every operating system, so common sense dictates that most devs will aim their apps at the largest audience possible. But even with Android sales growing fast over the past two years, very few developers bypass iOS as the first platform to develop for. They are simply making more money with iOS, so that is where the top-tier apps start out, which in turn helps boost handset sales. I don’t see any signs of this changing either. Even for apps on both platforms, it often takes time for the Android version to see parity with its iOS counterpart. Monday’s Android update of Rdio is a perfect example; until Monday, I have used the app on my iPhone instead of my Galaxy Nexus because it was simply better. Android no longer has a killer app. Originally Android offered the best support for Gmail services by far, but over time Google has brought the iOS version to near parity. I still think the best Gmail experience is on an Android phone and the free, exclusive Google Navigation is great on Android, but it is not a killer app. Even worse: Google can’t cease development on iOS at this point, else users will leave its services altogether. Google can’t afford for that to happen, because it gets data from these users, which feeds its primary revenue stream: personalized advertising. Even as an Android user, I can easily make do using Gmail, Google Voice, Google+ and other Google services on iOS. I suspect many mainstream consumers can too. There is less of a lock-in cost to keep people on Android. I looked into lock-in costs back in 2010 as I saw how these could sway consumers to stick with a platform. I still believe there is a smartphone lock-in cost: Moving to another platform could cost $100, $200 or more to replace apps. But I am starting to believe there is less of a lock-in to keep people on Android. Why? Most of the heavily downloaded apps are free. Not all of them, of course, but far more of the top Android apps are free versus those in the iTunes App Store. Without this financial barrier, it is easier to switch from Android to iOS. Likewise, it is more of a deterrent to move in the opposite direction. None of my points here are intended to suggest that one platform is better or worse than the other. As long as I have been covering mobile technology online — it will be 10 years in 2013 — I have always stood by one mantra: Use the best mobile device for your own needs. And I will continue to practice what I preach. Although I have an iPhone 4S, on 9 days out of 10, I carry my Galaxy Nexus handset. I have an iPad 2, but that’s relegated for specific use cases; my Galaxy Tab 7.7 is the tablet I take everywhere. Independent of my own Android use, there are many reasons to suspect that Android’s growth will continue along the upward path it has seen for the past few years. But Apple’s iOS platform simply has strong momentum that is going to slow Android down as it forces some handset makers to scramble. These will likely gravitate toward the alternative of Windows Phone(s MSFT). Companies are likely to see growth there, but given the history of Android, as well as what I expect from its future, will the story remain the same? Apple is primarily a HW company. With everyone moving to the cloud, Google better get it in gear otherwise uS will trump both Apple & Google. uS has the office environment locked down (office -cloud), gaming (kinect hurt the PS console, xboxlive – cloud), windows mobile (embedded CE) is also on the factory/manufacturing floor (Rockwell Automation) and in the autos (ford sync). I think you have that the wrong way around? Someone moving from Android to iOS has to shell out $$$ for equivalent iOS apps. Someone moving from iOS to Android picks up the apps for free. So no one picked up on the fact that Apple only sold 1 million more Smartphones than Samsung, the sales of Android devices greatly out numbered iOS devices (not sure about tablets). Apple is just far more profitable, considering they have their iPhones and iPads assembled in a factory in China, where the workers work 15 hour shifts for Â£27 a month, yeah very profitable. James, they all (SmartPhone, PC, makers) exploit overseas workers. Apple’s profit is higher because they have been investing in the CPU and GPU for a long time. Now they’ve bought Anobit, another technology that will give them a significant cost/performance advantage on the second most costly item in the BOM. And customers will pay a modest premium for better integration, better Apps, better UI, better support, and style/image. No. Apple’s profit has little to do with their BOM cost. It’s higher because they charge the carriers a much higher price. The carriers absorb or pass on the cost difference because there’s a history of some users indirectly paying a premium for supposed better integration, apps and UI. But, the data from the last year has taught us this effect is largely confined to previous iOS users in the US and a some others who are the biggest suckers for marketing and branding. How long will they continue to be? It could come down to the advances in the hardware of the next generation of the iPhone. Have to disagree with a number of points – I believe it is absolutely crucial to get as many first time buyers because users invest emotionally in systems and are unlikely to change. Not JUST for financial reasons, Of course apple locks people in because everything they sell is proprietary and wont work with anything else and people tend to pay way more on apps, but on the other hand Android is far more flexible, customisable, & has far more capabilities – it would be hard to let them go once you’ve become accustomed to them, even for the promise of a buttery smooth UI. I also think its disingenuous to claim iOS has 50% market penetration – Yes it sold close to 50% for a short period of time, but this was immediately after a new (annual) product launch, I strongly doubt they’ll maintain that share of sales in the next quarter or the one after. I think the real issue for HTC and Motorola is that they invested money to make Android worse. My Nexus One is great (HTC makes the hardware if I am not mistaken). I’ve used the Nexus S and Galaxy Nexus and both are also excellent. My wife’s HTC Android phone on the other hand, is awful. HTC spent money make Android worse. Every place I notice their customization, it made Android worse. I’ve played with Motorola handsets and I also think that they are worse than stock Android, though I haven’t had as much experience with them. The Samsung variants of the Google phones seem much better, some of the customizations even improve the user experience. Perhaps that is why Samsung is doing well and the other handset makers are suffering. Sadly, the badly done Android phones often give Android a bad name. Kevin, as usual, a very well balanced post. I use iOS mostly but I think about dipping my toes into Android whenever I need to replace my existing phone/tablet. I wish Google was as clinical about releasing the Nexus series on major platforms on well defined dates as Apple usually is. I was seriously considering switching to GSII last year when my iPhone 3GS was due for an upgrade but the ATT stores could not tell me when it would be released in California. Instead of waiting indefinitely, I upgraded to iPhone 4S. The other deterrent was the fact that non-Nexus phones do not get software updates on time, if ever. Google was very vague about the availability of the Galaxy Nexus. Unlike you, I cannot afford to buy an unsubsidized phone for 600/700 bucks. Due to these reasons, I decided to stick with iOS for now. I use a lot of Google services – Google Voice/Gmail/Picasa/Search etc which are available on iOS as well. Recently, I had a very bad experience with Google Voice where it would dial international numbers directly instead of routing it through their local numbers. I got a +$80 shock on my ATT bill, which they reduced to half because of my pleading. I haven’t heard a peep from Google regarding this issue, which seems to be fairly widespread of you read the app and online reviews. Android is the killer app. So long as Android devices can be rooted, the ecosystem of Android products (devices, apps, services, ROMs, UI themes, etc.) will enable individual owners to have devices that are altogether more secure and private, and potentially more powerful, than any iOS device. My own Android phone is locked down pretty tightly: I only let Google’s servers see it when I need to, which is rarely. My carrier has no OTA or remote control access to it. I connect to open WiFi networks with near impunity. I deny permissions to apps when I choose to. And so on. Last I checked, I would not be able to do these things on any iPhone. Apple controls iPhones. I control my phone. Maybe I’m not representative, but for me (and I have no love for Google) that makes Android the killer app. Please be specific about what % of smart phone user will ‘root’ their phones. Heck make a good estimate. Then consider what impact this has on market share. Remember the old days? “Computer nerds” programmed their “home computer”. Today, the equivalent culture is for smartphones. So, whereas now the percentage of smartphone users who will root their device (the fringe, let’s say), though in the many thousands, is small and not representative of the mainstream of owners (as you imply), eventually an industry will emerge for productizing all the measures now done by the fringe. If all goes well, in the Android case, that industry may end up comprising Google and OEMs. If so, outside the U.S.A. carriers would likely not resist the new, open approach to smartphone design; and in the U.S.A. carriers would either follow suit under pressure and/or would be replaced by a new wave of mobile tech. As we watch it unfold now, it all seems quite urgent and dismal. But actually it is only nascent, and the future is wide open. This doesn’t matter. Why? Because the pie is big enough for Android, iOS and WP to all be successful. It comes down to who offers the phone the user wants. Right now a lot of people I know pick Android because of the screen size. I have been on Android since the G1 and don’t have plans to go to an iPhone but that doesn’t mean others can’t. Less-capable Androids are good enough for most people. For people like me, who want the best smartphone, on the best US carrier, there’s the Verizon Wireless Galaxy Nexus. I chose the Nexus over Razr Maxx because, aside from the large screen, 4G, customizable, there’s no Samsung UI. It’s also my habit to charge phone at night anyway. I crossed the iPhone off my list pretty quick, since it has a tiny screen and slow poke 3G. i’m switching to droid over getting an iphone4. there is no comprimise since i can still use the iphone as an ipod touch and all my apps are still there and usable via wireless. iphone 4 is heavy, has a tiny screen and feels more like a museum object in hand. i agree the android phones are not as high quality and the OS and apps still need more work to bring them to the refinement level of apple, but i’m looking forward to a thin, lightweight device with a large screen. i’ve noticed many people around with the new samsung galaxy nexus, apple is going to have to up it’s game in terms of what it’s giving users to keep their market share. the majority of people i know and work with have android phones and are really happy with them. No offence, but this totally reads like an astroturf post. Kudos to you if what you say about your likes/dislikes is true here, but most folks desires are opposite to what you state. Most people don’t want a big phone. Most don’t want a lightweight phone. You criticise the iPhone for the very qualities that most people find to be attractive and like the Android phones for reasons that are all bullet points in Android advertisements. Doesn’t item 7 cut in the opposite direction? If I move from Android to iPhone, I have to pay to get all the top apps. If I move from iPhone to Android, I can pick up the top apps for free. Not sure what argument Kevin is trying make here. Maybe people would feel bad about abandoning apps they paid for, but that is a sunk cost. The question should be how much it costs to get up and running on the new platform. LOL, wasn’t there a book or a movie… THE SECRET? Like, if you wish hard enough you could make it happen. The iPhone has the momentum of the name factor behind it. The average users buy it simply because “iPhone”. Among my tech-average friends, relatives and acquaintances who bought the iPhone, almost none of them did that due to an educated comparison of the user experience between the iPhone and Android. They simply bought it because “iPhone”! Most of them did not even know what an Android phone is. This is the main reason why even yester year’s iPhones sell today. 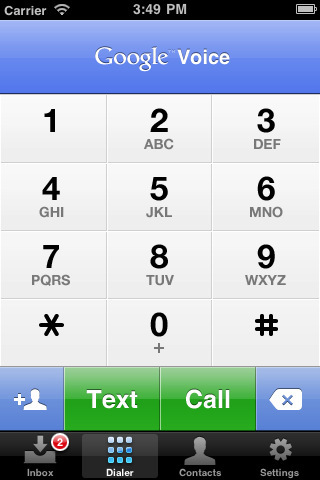 This will be very hard to change in the near future even if the Android UI became better than the iPhone. Given this scenario, the only way for Android phones to get more market share than the iPhone is by sheer ubiquitousness at all price points, similar to the Windows PC vs the Macs. I was in the market (non-US) recently for a feature phone to be used by a non-techie uncle. The feature phone market was so lacking, I was forced to buy a smartphone. The only smartphones available at feature phone price are the Androids. This will make a big difference in the long run, in favor of Android. Of course, this assumes that Apple will not start releasing iPhones at all price points. I think the general feeling is that with Apple one gets an Apple phone, with Android one gets a Carrier phone from [none] updates to craplets. I don’t think Android emotionally comes out on the winning site of the association, at least in the US. Excellent point! And Google took a BIG step back by compromising on the latest in the Nexus line. Where is the carrier independent Galaxy Nexus that I can buy directly from Google and take with me to whichever carrier I please? I feel so cheated. I think HTC had a good run with the Eris and Incredibles but the Thunderbolt was a disaster aided and abetted by VZW from which with the Rezound they couldn’t, well, rebound (and it had its share of problems, too). That gave Samsung the opening they needed and they’re not looking back. It seems there are only two real innovators in the mobile handset biz, Apple and Samsung *, and only two in the ecosystem biz, Apple and Amazon. The logic of point #7 is backward. If Android apps are mostly free, the barrier to move from Android to iOS is much greater than the barrier to move from iOS to Android. Your Point 6 is not true. Google Maps Navigation is a game-changer and there is no competitive application, paid-for, or freeware that can come even close to Google Navigation (Turn by turn for walking and driving). I’ve had both platforms, and as much as I love the stability of iOS, I keep going back to android for Google Navigation and it’s voice integration. People are pointing to Samsung’s growth and overall success. Maybe, but Android is slowing down, and it’s consolidating in a way that’s not healthy. Android is increasingly a Samsung platform. That means that its fate is more tied to how one company works. When your strength is supposed to be plurality and choice, that doesn’t leave you with a lot if Samsung suddenly hits a snag. If the Galaxy S III doesn’t do well, or Samsung releases too many niche phones that sell poorly, it drags down the whole platform. Sometimes the truth hurts. You don’t improve by closing your ears and pretending things are perfect. I beg to differ. I see more and more people going for Android than iOS devices. Yes Android as crappy apps and not as polished as an IOS devices but the growth of Android devices is phenomenal. With the exception of points 2 and 5, this is a pretty poor interpretation of data. Appreciate your opinion, of course. How do you interpret the data? Most readers cannot read the data, much less adroitly analyzing data. 1. Simply using Android does not equate to a successful business model.android can’t be blamed for poor vision, quality and execution. Plus why try to judge HTC on one quarter if data and used that to make a sweeping conclusion. 3. The top selling phones have always been iPhones, even when Android was skyrocketing past iOS in overall sales/market share. 4. You offer no proof that this will happen though, nor signs that it is. 5. Kind of goes along with number 3 in that this hasn’t slowed Android growth up until this point, why would it now? Seeing that the Android market has seen vast improvements, this is less of of a reason than before. 6. Having used all of this these Google products on ios, I know, as you do too, these apps arent that good on IOS. On the flip side, many apps that used to be only on IOS are now on both platforms. Again, Google has gained the advantage here, not lost it. 7. See latter part of 6. Part 1) Samsung IS an early Android handset manufacturer. Just because the Galaxy i7500 wasn’t in the USA doesn’t mean they weren’t a player, the entire world isn’t just in the USA. But mentioning Samsung would contradict part 1. Part 2) Android has been consistently rising except the last quarter from iPhone 4S sales. This is hardly signs that Android if faltering. Profit wise it’s been hurting certain companies like HTC because HTC has way too many models and Apple has their premiums. In Taiwan retailers are complaining that it seems HTC is releasing a new phone every month, completely diluting their brand. Meanwhile Samsung is still making a healthy profit. ZTE and Huawei are rising with their budget phones which are popular elsewhere and are making inroads in the USA in the prepaid market. Part 3) Take this for instance, Samsung has a couple dozen Galaxy S and Galaxy SII variants catered for specific markets. Of course with so many models they can’t compete with individual iPhone models. I’m sure the numbers would look differently if you compared the Galaxy S series with the iPhone 4 and Galaxy SII series with iPhone4s. Part 4) This depends I think largely on what people brought earlier for an Android phone. For instance if it was the SonyEricsson Xperia S, I’m not exactly surprised because the phone is terrible and the rom is buggy. Part 5) Price and choice. Want to still be stuck on a tiny 3.5″ screen? Choose iPhone. Want a nice 5.3″ screen with over 10 hours of constant use? Choose the Samsung Galaxy Note. Part 6) This is mostly true. Part 7) Price is still a factor. Here in Taiwan the cost of a Samsung Galaxy SII is $30 with 2 year contract – much bigger screen and faster specs. The Samsung Galaxy Note is now just $200. Android is still very price competitive. I want to add, HTC had released 30+ models internationally in the last year or so. That’s a new phone every two weeks. OF COURSE they’re diluted and losing profits. That’s not an Android problem, that’s an HTC problem. It’s amazing how if any company uses Android and happens to have a weak quarter, well all blames goes back to Android and not the company failing to do good business. Well let some of these tech bloggers tell it. My interpretation is that Google AND Apple are both succeeding wildly on their respective goals. Google bought Android to prevent Microsoft from locking them out of mobile, and Microsoft is now a weak #4 (#5?). Bingo. Google’s ads â€” the source of approximately 120% of its profits â€” will continue to be as much in front of our eyeballs as possible. And Apple wanted to reinvent the personal computer in ways that allows it to command huge sales and profits. Double-bingo. Apple’s model requires it to step on others’ toes, which is why Verizon told them in 2006 to get lost. Google’s model requires them to be friendly with everybody, especially so when VZ realized it needed an entrant in the Smartphone game. Apple’s culture of disruptive innovation will take it into new areas such as developing-world phones, education and the like. I have a bit more trouble seeing where Google takes its success and keeps from turning into a low-growth, low-excitement Microsoft, but will watch with interest. The model that I see emerging from its various initiatives is as a portal, AOL for the 21st century, with easy buttons for shopping (NFC, Google Wallet, Google Travelâ€¦), a consolidation of crowd sourced opinions on commerce (Zagat, etc) and other tools that emphasize their real customers’ interests â€” the advertisers’ needs â€” to grab a fraction of your eyeballs. All the data seems consistent with that hypothesis. I, personally, favor products that I can love even if I have to pay up, versus being stuck in advertising hell on bargain equipment. But that doesn’t mean that others won’t prefer the Google route. It’s obviously working. Until the the last two paragraphs, that is. “…turning into a low-growth, low-excitement Microsoft.” Don’t forget Microsoft and its open hardware model experienced phenomenal growth during the middle stage of the development of personal computing, while Apple only avoided being wiped out completely by finding success with products in new categories (i.e. iPod, iTunes, etc.). “The model that I see emerging from its various initiatives is as a portal, AOL for the 21st century….” To my mind, it’s iOS’s closed system that’s more akin to AOL’s failed bid to wall-off the outside world of the internet and force-feed content over which it had exclusive control. “I, personally, favor products that I can love even if I have to pay up, versus being stuck in advertising hell on bargain equipment.” There’s plenty of high end equipment in the open hardware model world – that’s the beauty of it, you can pay for as much or little “love” as you want. And, I hardly see how one is liberated from advertising by using iOS. Even if it were the case, there’s lots of evidence advertising as a business model is thriving and not something most people consider “hell.” Just look at TV, the internet and Facebook, for example. The clearest fact that one can point to is that the iPhone and iPad were runaway hits in Q4. Apple sold nearly half of all smartphones sold in the quarter, and took 3/4 of the profits. That’s selling 3 models of phone, vs no less than 5 major competitors flooding the market with every shape and size of handset imaginable. So while Android is definitely selling a boatload of devices, there’s only one company that’s making any real money doing it. That’s an equation that’s unsustainable if you’re on the losing end of it. How easy it is to view Q4 in isolation and ignore the millions of iPhone purchases postponed in Q3 because an iOS product had not launched in the prior 15 months. Other companies are making real money. In fact, Samsung’s smart phone business is very profitable. The only equation that’s unsustainable is 75% of profits on 39% of revenue. Competition and maturation of markets crush those kind of numbers. How easily you ignore the fact that 37 million people were willing to wait as long as 15 months to buy a new iPhone than a host of Android devices. How easy it is to claim I ignored something I didn’t. How easy it is to further distort the numbers by claiming all 37 million Q4 iPhone purchases were the new device. Great article Kevin. As an android user (who also owns iOS devices) I think the iOS ‘fit and finish’ trumps anything Google has brought out thus far. They might be closer with ICS (can’t say as I haven’t used one for an extended length of time) but it seems they are just bringing Android up to iOS’s level, but not surpassing it, which won’t be enough for regular users to stay. I do think that one of Android’s strengths is the variety of device form factors that it is available in, and I think it’s great that we now have devices like the Galaxy Nexus and the EEE transformer prime, but they really need the OS (and the apps) to get people to stay once they’ve bought in. What google has to realize is that they can easily create a following like Apple crowd. Every single	Apple owner I know buys Apple mostly because devices are of a very high quality and look exceptionally good. You simply can’t argue with this. What google needs and can easily do with Moto is create a direct rival to iPhone… pure google phone, clean sheet of paper approach. Make it a very hight quality device (sorry but all Samsung devices have horrid enclosure)… either machined metal or sone sort of composite. And after that keep up the updates like Apple does with iPhones. Obviously this has to be the best Android phone where google showcases it’s latest and greatest. I will be the first one in line and will pay up. I love Android but its so hard to find a high quality phone. One Android phone (stock) and two Android tablets (one stock, one rooted) in my household. All are subject to the same stability issues: frequent hanging, occasional lockups requiring a reboot. This kind of experience is acceptable for a laptop and even a tablet, but not a phone. I’m on my third iPhone and can’t see myself switching to Android in the foreseeable future. I’m an Android user by preference, and I agree with Tofel. I think it’s still too early to tell if the current trend will hold when the next batch of smartphones are in the market, though. I have one question for Tofel – is there any data on users that have had a smart phone with a big screen (4 inch +)? Are those people inclined to switch to IPhone? I know that every time I’ve gotten a larger screen it has been next to impossible to go back to the smaller on I had before. I had a Samsung Galaxy S for quite some time, and loved both Android and the 4″ screen. I was curious to see what iOS was like, so bought an iPhone 3GS, certain that I would hate going back to a 3.5″ screen. Turns out I was wrong! Yes, I was mildly disappointed when the 4S came out with the same screen size, but that wasn’t enough to stop me buying one! So, I’m converted, but agree with Kevin that there’s no single right answer, it’s all about the personal use-case. I beleive it is not fair to compair sailes of 4Gs to galaxy SII wait for nexus galaxy and then do that comparison again, I agree that android market isn’t as profitable as iOS because of the free apps, can’t this alone bring more end-users? Apple will always rule profitability, Thats the advantage of few models. I dont think Android is slowing down, rather it is consolidating behind Samsung. Most of your data is US only .. where the Sprint “factor” played a big role. To recall Sprint bought a huge order of iPhones which it had to get rid of .. Also iPhones have won in the US for most of the quarters and Android has won internationally . We are close to MWC where more Android devices with Ice cream Sandwich are about to be displayed. Remember barring the Nexus S .. There has been no major Android devices for what seems like an eternity. Also barring the Nexus S.. There are no devices with Ice cream sandwich. To put that into perspective – The Razr runs a mobile OS which is 18 months old ! Android needs to fix these problems sooner rather than later… But till then I wouldnt be surprised if the worldwide data will show the continuing rise of the robot. 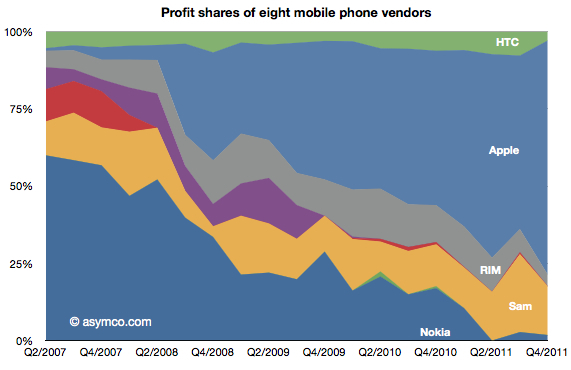 Those markets are still very open to Nokia/Symbian and all the Android manufacturers. Just spent some time with my wife’s family in Kunming, the seat of China’s second-poorest province. She has a relative who tends goats for his living. But the others include a CPA, a Dell sales rep, a publisher, a futures traderâ€¦ There are already a couple of iProducts in their hands. Apple’s â€œmarimbaâ€ ringtone was the second most-heard tone on the street (after Nokia’s mosquito). People in China are proud of making Apple products in ways that Samsung or Nokia will never generate. Net-net, while these points may look US-centric, if you look a bit deeper into the cultures of Apple and Google, you can make some educated guesses about how well they’ll perform around the world. We’ll see! I agree with Steve. Android is still rapidly growing outside of the U.S. and if you track ZTE’s and Huawei’s rapid growth in the low end markets they are eating into Nokia’s dominance there. What’s also missing in your analysis are Sprint’s recent financial statements on losing money on iPhone. Some overseas wireless carriers who experienced the same things and sell iPhones have recently started to push on Android since they are making more money on them and tired of subsidizing Apple products and give them all the profits. Apple dominates the high-end and probably will continue to do so along with the profits. The other handset makers just want the middle or low-end markets, especially since most of them are diversified electronics manufacturers. For Google, as everyone knows, they don’t care about profit on their Android platform and just want market share. So I believe the Android train will still continue to roll. Even look at the latest tablet figures with Android because of Kindle hitting 40% market share (not shipped but sold). That article has lots of vague statements but little if anything to back it up. 3GS is slow, has a lower resolution than most Android devices and is actually not nearly as smooth as Ice Cream Sandwich. I think too many people have their experience soured by 1.6-2.1. 2.3 and 4.0 are pretty impressive. Gag me, please. Another Apple fanboy post. Haven’t we had enough of these? Slow news day so we have to fill whitespace with more Apple lust? Please spare us. We’ll see what happens when ICS come out for you. Did you read your own link? So the guys says at least three times that he owns both but prefers Android, and your takeaway is that he’s a fanboy for Apple. Very observant. That’s an “Apple fanboy”? Sounds like he’s just being realistic about the way the real world works. In the “real world” people carry neither Android nor iOS. In the “real world,” I guarantee, people don’t carry both. This is tech blog myopia. It’s creating arguments and battles where none truly exist. Apple (iOS) is about 11% of the US mobile market. That’s “total” mobile market, which includes a lot of the “real world” often overlooked by the likes of GigaOM. Both Android and iOS will decline as Microsoft/Nokia pull their sh*t together, with MS/Nokia taking a larger bite out of those who could be first time iOS users. We haven’t even seen where Motorola is going to fit into the long term Android equation, so making any RUSH TO JUDGEMENT B.S. HEADLINE, LINK BAITING, POST about the future of mobile is, well, a sign of pre-mature…everything. Once tech blogs became bloated with too many writers with a need to post something “new” every :15 minutes, they lost their value. Yes, I was hooked by the headline and a Tweet and had to come running to check out this “story,” but I regret the :15 minutes of my life it sucked away from me. 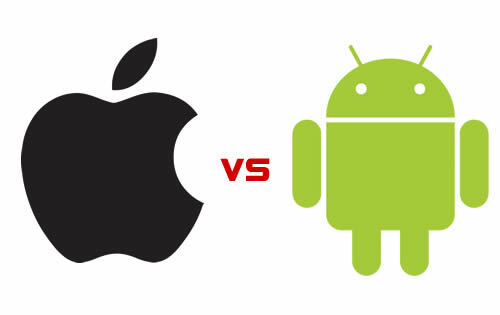 @Dale: How about, â€œBoth Android and iOS will decline as if Microsoft/Nokia pull their sh*t togetherâ€¦â€ ? Microsoft has a great track record of selling to the Enterprise and independent developers who serve the Big E. Its success with consumers â€” think PlaysForSure, Zune, Kinect, XBox, Bing, Bob, Hotmail and your choice of many others â€” is overall pretty miserable. Some great products, but enough dogs that they can’t predictably reinvest the Windows/Office profits as well as shareholders could do with a dartboard. So they under-invest, which is a recipe for being late and half-hearted. Take WP7 as an example. Please. I don’t doubt that Win8 and its phone/tablet counterparts will be competent and well-liked in businesses around the country. What I can’t understand is how people expect that will lead Microsoft to succeed in a game that they only lackadaisically suit up for. @Dale but what’s more important to these companies..profits or market share? That’s what this article’s about. But HTC _is_ faltering. Motorola Mobility _is_ in the tank. And Apple is not only getting a larger share of experienced smartphone buyers, they’re making more money than God. Is this what makes a “fanboy post”? If so, reality seems to be an Apple fanboy. So, does Samsung just not exist in the context of this article because it doesn’t fit in with the conclusions? I’ve personally bought twice as many Android devices than iOS devices since 2007. I paid a premium to import a GSM Galaxy Nexus from the UK and did the same for Samsung’s Galaxy Tab 7.7, which you can’t get in the U.S. As an “Apple fanboi”, why would I be spending an average of $500 or more for Android devices? Uhm now let me think Maybe because you have far too much money and little sense to use it discerningly. Maybe! . To your point Kevin, I respond with a big BFD on what you bought or own. The gist is basically Apple is winning some kind of phantom war that you cooked up to justify a pointless post. Nice try but I’m not buying it. Profits and revenues of companies aren’t a phantom war, Peter. I’d rather have more competitors in the market than fewer, but I’m afraid some are starting to stagger and fall. Appreciate your thoughts, even if you don’t agree. Thx! Still very early in the game and room for many to falter including Apple. They are on top for now. Let’s see if their closed system and one product strategy (smartphone segment) can sustain itself over time. Long term, I’m a skeptic. However, Thanks for the open dialogue. Still love GigaOM.